ECE’s team of professional engineers has extensive experience evaluating marine and coastal structures. We provide marina operational, infrastructure and facilities assessments (“marina surveys”) for insurance companies. In addition, we provide above and below water inspection services to assess the health and remaining service life of existing marine and coastal structures such as seawalls, piers, groins and breakwaters and provide recommendations for repair and/or replacement solutions as needed. 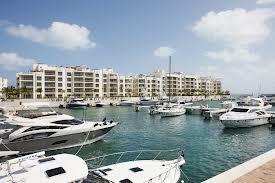 Marina La Amada is located on the Yucatan Peninsula near Cancun, Mexico. The marina is a state-of-the-art facility accommodating yachts up to 180 ft with a total of 176 berths. ECE performed an operational and infrastructure survey of the marina for the insurer including an assessment of best management practices for safe operation and mooring of vessels as well as the procedures to be implemented during the potential release of toxic substances should an accidental spill occur. This marina is a state-of-the-art IGY marina facility accommodating yachts up to 180 feet with a total of 51 berths. ECE performed an operational and infrastructure assessment of the marina for the purpose of due diligence for the insurer of the facilities. The survey included an assessment of the resiliency of the marina to severe storms and hurricanes. ECE performed an assessment of a 7,000 linear foot steel sheet pile bulkhead system which borders a high end marina and resort area. The bulkhead system exhibited medium to severe corrosion whereby ECE developed a plan to sandblast and re-coat the system to extend the service life and enhance aesthetics of the system. An Environmental Impact Assessment and detailed alternatives analysis was performed. An assessment of the structural condition and service life of an existing 1,000 linear ft reinforced concrete panel seawall was conducted for Sarasota County. ECE recommended replacement of the seawall due to severe spalling, keyway joint failures, and corrosion of tie-back system.